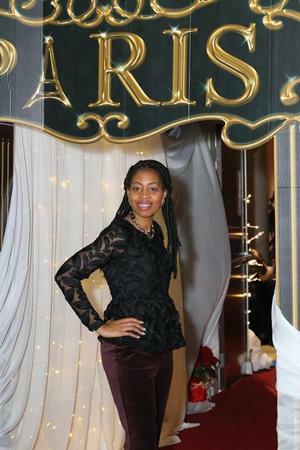 HAMPTON, Va. (January 17, 2019) – Over 500 Hampton University staff and faculty celebrated “A Night of the Parisian Pirate” at Hampton’s annual holiday party on Friday, December 14, 2018, to celebrate the holiday season. 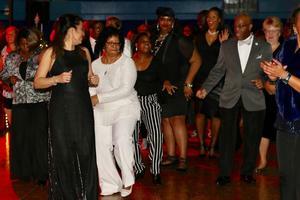 Staff and faculty enjoyed a night of dining, dancing and winning prizes. Hampton University staff and faculty dressed to impress for a “Night in Paris” with live music from Kustom Made Band, where people danced the night away inside the Hampton University Convocation Center. Dr. William R. Harvey, Hampton University’s President, spoke to the assembled patrons about celebrating another successful year at Hampton. He spoke about reveling in the season and gave everyone holiday blessings. “This holiday party is an annual event that we hold every year to give back to our hard-working and dedicated employees for a successful year at Hampton. We give away door prizes, such as flat-screen TVs and gift cards. Mrs. Harvey and I wish every faculty and staff member a blessed Christmas and a Happy New Year,” said Hampton University President, Dr. William R. Harvey. Parisian-themed decorations donned the Convocation Center for the night. Patrons were treated to heavy hors d’oeuvres, a dessert bar, eggnog bar, and adult beverages. 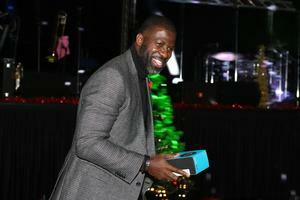 Those in attendance were also able to win prizes such as televisions, electronics, gift cards and more. There was also a holiday photo booth with picture keepsakes. 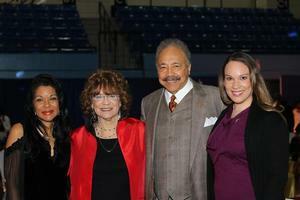 This year's annual holiday party was sponsored by the Hampton University Office of Special Events.